Technological innovation in the lithographic process in the 1880s ushered in the golden age of lithography, roughly 1890–1912 which produced some the of the most intricate and colorful posters in the exhibition. 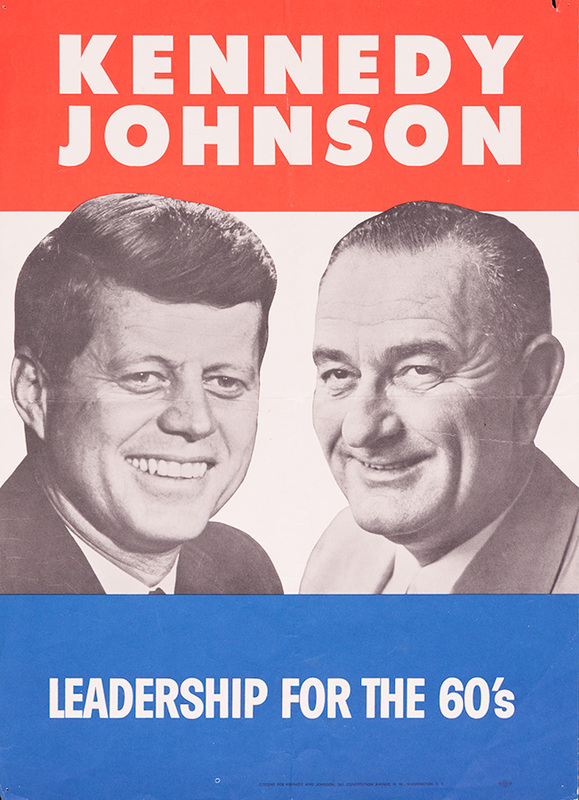 Roosevelt administration and included several key Democratic Party campaign posters designed by famous artists like Ben Shahn and James Montgomery Flagg. The international style that pervaded the 1950s rarely affected the campaign poster, an era in which cheap letterpress and offset “boxing style” posters were de rigueur. 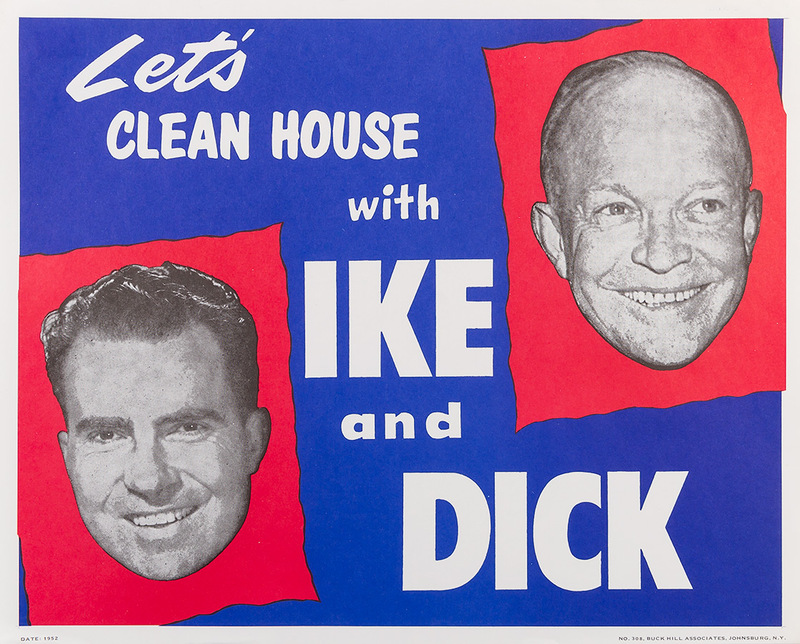 However, a marvelous new design element that became popular at the time was the “floating head” poster, and several for candidates Eisenhower, Kennedy, and Goldwater are included in the exhibition. The left-wing counterculture revolution of the 1960s was awash in civil rights, psychedelia and anti-war posters that culminated in the creation of some of the finest campaign posters, many of which appeared in the 1968 Democratic primary campaign of Eugene McCarthy. 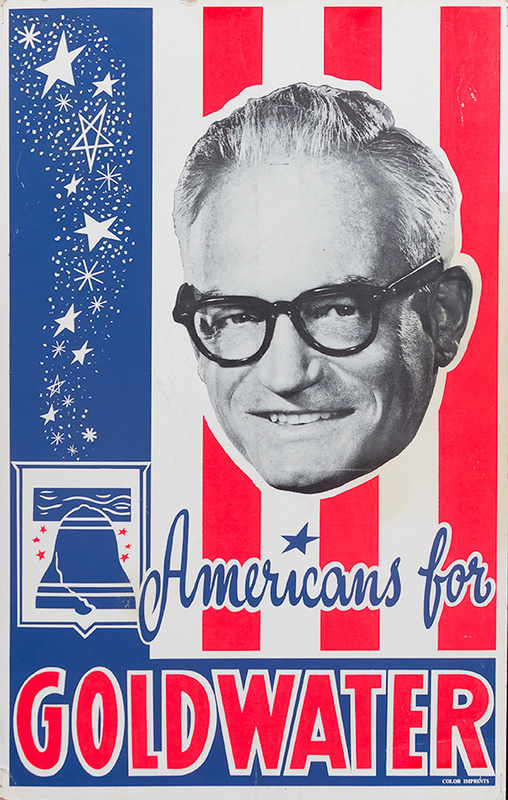 The George McGovern campaign that followed in 1972 was a virtual explosion of exciting political art. The offset printed poster was the more frequent, but many famous artists, such as Alexander Calder and Peter Max, screenprinted limited editions that helped fund campaigns. 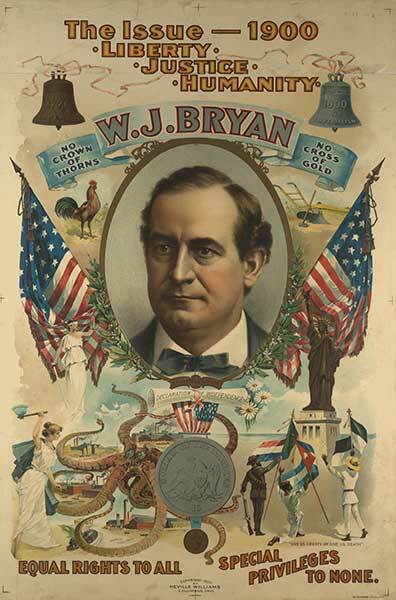 Hundreds of posters were created by well-known artists, illustrators, and often by inspired first time poster makers. 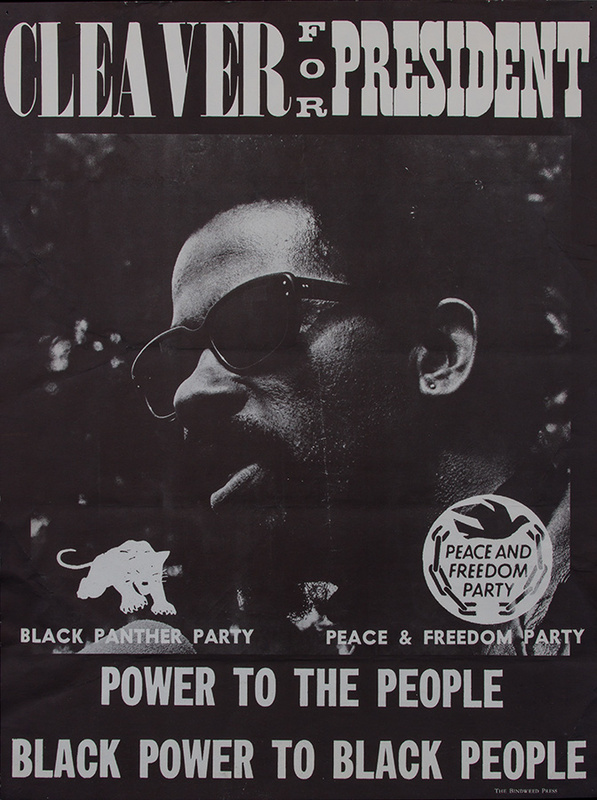 After the graphically exciting 1972 presidential campaign, future contests produced only a few outstanding posters in each election cycle. 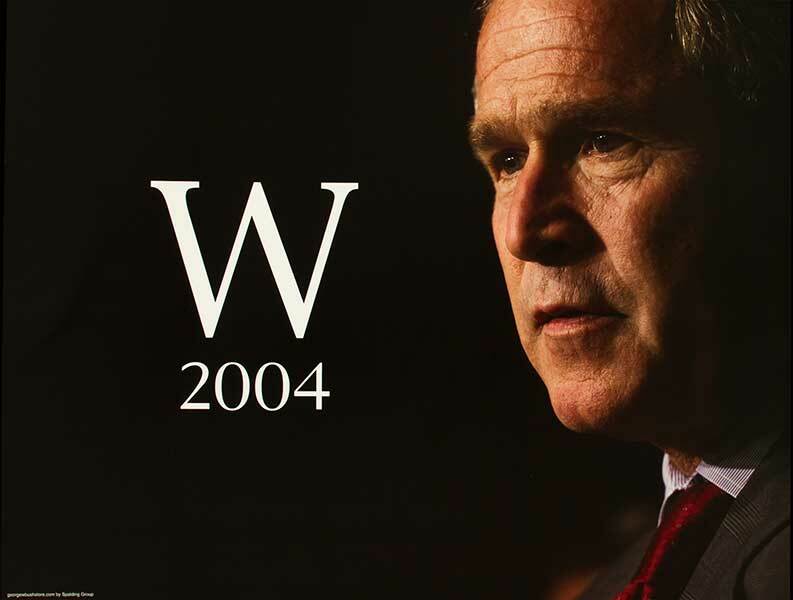 However, the Democrat’s nomination of Barack Obama in 2008 heralded a renaissance of the form, as many artists—insiders, outsiders, and the famous—jumped on the candidate’s bandwagon. 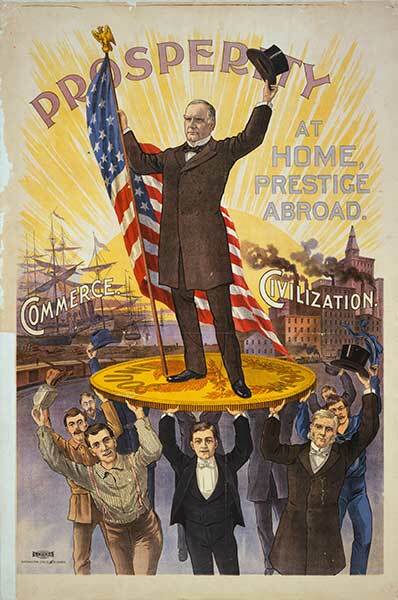 In fact, in 2008 it looked as if the great American political poster had at last solidified its place in future campaigns. Unfortunately, it was not to be; in 2012 the creation of exciting innovative posters tapered off sharply from the previous presidential election cycle. 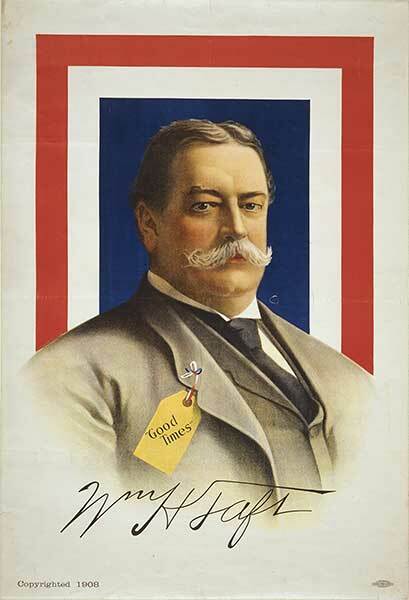 Historically the American political poster has been sorely neglected as an art form and has played a minor cultural role despite its effectiveness in conveying a political message to millions of voters often through the skillful use of visual communication. 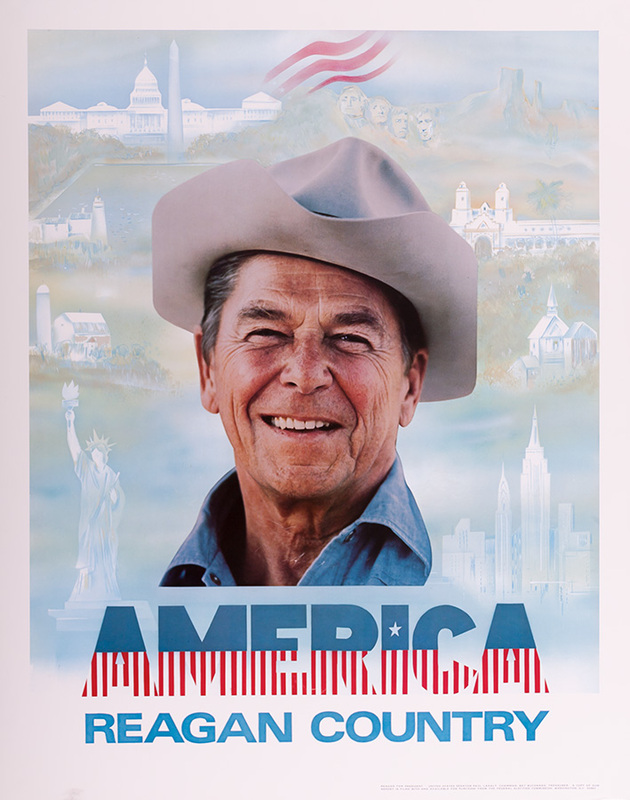 Sign of the Times has made every effort to bring eye-popping political graphics to the to the forefront and to show the great American political poster as art. Sign of the Times is touring February 2016 through January 2021. The dates below reflect five-week exhibition periods. Dates are subject to change; please contact MoreArt@maaa.org or (800) 473-3872 x208/209 for current availability. All dates for this exhibition are currently booked or on hold. Looking for something similar?